I have a 2006 GT that I got used and it has 170k miles so she’s old. From the day I got the car to now the rear left wheel has been making a horrible grinding noise and no matter what I’ve done cannot fix the issue. I’ve replaced the rotor and break pads but the sound is still there. I took it into a mechanic and he said it was just some caliper pins after he replaced them I was fixed! For about 30 miles then the sound came right back. The sound only happens while breaking and a slight chirping sound while normal driving. The sound is also not constant and changes based on speed. I have no clue what the problem is but I’m thinking it might have something to do with the axel. 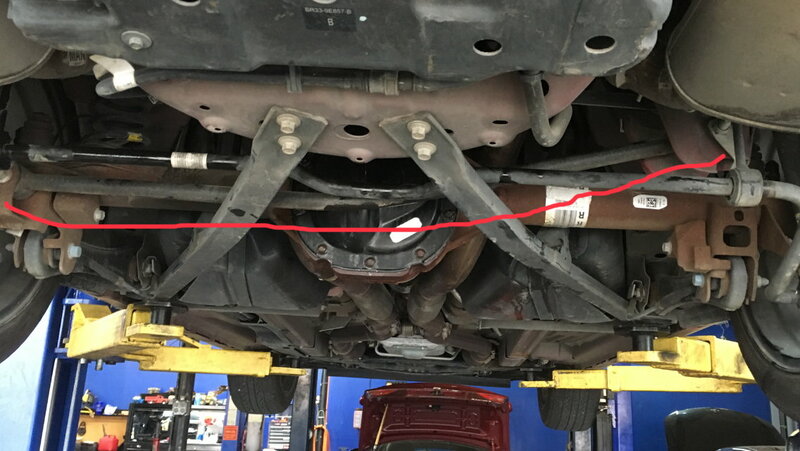 TLDR: grinding noise in rear left wheel and my axel is misaligned so I’m curious if that could be causing any kind of grinding sound. No matter what you have done, it's still there. Did ya replace the axle bearings? I took a look at some videos of people with bad axle bearings and the sound is not similar at all. I’m thinking it would probably help a lot if I could post a video of the noise. My rear axel seems to be off by a lot actually. The wheel reaches about 2.25” (problem side) away from the fender lip while the passenger side is flush with it. My thought is that the person before me fish tailed into a curb and smashed everything over and that’s causing something to grind. But that’s my best guess so far. I am so desperate for this issue to be fixed. The problem is more complex than you think. Firstly with the axle that far offset, the panhard bar is almost certainly bent and will need replacing Secondly, the upper control arm is likely to be damaged so that'll also need replacing. Thirdly, I'd closely inspect the lower control arms and the mounts for possible damage. Finally, the axleshaft on the noisy side could be slightly bent causing the recurrent grinding noise you described. Sounds like you've got your work cut out to fix this problem. Good luck and keep us updated. Thanks for the responses everyone I will take a look, probably post a video and update shortly. Back in Nov, I bought a 2014 GT Convertible, had some "crickets chirping" sounds (sounded like front left) along with what sounded like a grrrr sound and front end was misaligned. Dealer said the steering column just needed a re-centering and he'd do it except it was almost the holiday (right before Thanksgiving), so I bought the car. Had front end realigned, $85 if I recall. Brake pads are practically brand new - WHAT? So I figured someone heard the chirpchirp and replaced the pads. They dust a lot so I guess they got the cheapest ones. Then someone said my LR wheel was wobbling. Sure enough, it was a bent axle. Got that fixed yesterday (new L axle, bearing, seal, diff cover gasket, etc), and the rotor needed replacement as well (that was the chirping) and the wheel rim is slightly bent (more cosmetic than anything else). I talked to the mechanic, showed him a similar offset to the right as OP describes, and he lifted it up higher again and looked. That Panhard rod is BADLY bent. No kidding, it was touching a part of the undercarriage while the car was lifted. I can see the UCAs and LCAs look fine, and the sway bar is fine (though it is shifted about 1/2-4/4" based on the wear of the bushings). I ordered a Panhard from Amazon (an adjustable one) and the mechanic will put it on for me pretty reasonably. I simply don't have the facility to do that, and besides, I'm very concerned about lifting the car, then taking loose that Panhard rod while the suspension springs are pushing that hard on them (will point out and warn him, as the sudden release could be really dangerous). The grrrr sound is still there, thinking it's a front wheel bearing, since whomever smacked the curb may have done the front as well because that rim has a nick in it. I bought a SWEET car that has a few previous owner's issues, and I'm pretty sure I'll be eating all this cost simply because someone was a goon and romped on something they weren't responsible enough to fix. Should be really nice soon, but dang... had I known, right? In my experience with a car that old and that many miles, you're better off in the long run getting another rear-end out of a salvage yard. They aren't expensive and can be swapped out in a few hours. The time and effort to open up the rear-end to check everything out can be spent replacing it. A good visual inspection of a low miles unit at a reputable bone yard is typically good enough. You'll get better gears, bearings, and a spare set of rotors and calipers.